Have you ever felt resentment towards someone? Did you take time to bless them? I know that probably sounds like a silly question, but that’s what Pierre Pradevand did and it transformed his life and, through his teaching, the lives of many others. You don’t need to be religious to bless someone, just willing. Several years ago, I read Pradervand’s book, The Gentle Art of Blessing . In it, he wrote about how he was consumed with resentment toward former employers. His resentment filled his days, from the moment he got up till he went to bed. In spite of meditating and praying, he couldn’t even take a shower without being soaked with angry thoughts. He knew it was harming him while the people he resented didn’t even know, but he couldn’t stop. Suddenly, he decided this was what he would do. Right then, he began blessing the people he had resented. He blessed them in every way he could think of, and just has he had formerly resented them all day long, now he blessed them. A few months later, he went on to bless everyone he came across. It transformed his life and as he began to tell others about his experiences, it transformed their lives too. 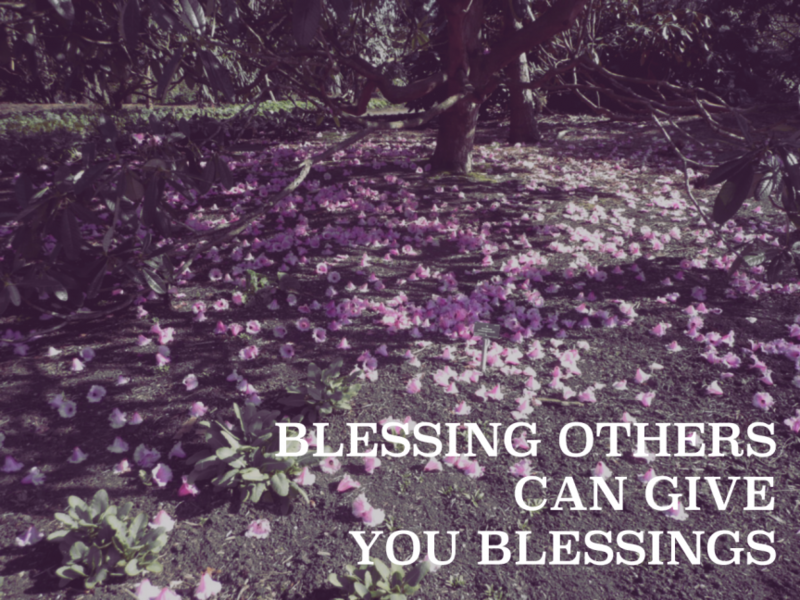 So what exactly does it mean to bless someone, and how can it transform a person’s life? Pronounce words in a religious rite in order to confer or invoke divine favour upon; ask God to look favourably on. An an example, he says, if a friend is in a state of deep depression, I will bless them in their peace, joy and wholeness, which is hidden to the material eyes, but is very present at another level of their being. This kind of blessing transcends religion. Pradervand has taught many people around the world his way of blessing, people of all religions and none. You don’t even need to believe in any god to wish the very best for people. It possibly helps to sense that we have “another level of being” but that could be the unconscious self. So anyone can bless. But you do need to mean it. Pradervand goes on to say: This [sincerity] is the power that transforms and heals, elevates and restores. It is the very antipode of a stereotyped ritual. I’ll be honest: when I read The Gentle Art of Blessing , it had an impact on me, but unlike Pradervand, I didn’t start blessing people all day and every day. I did try it for a while, but back then I was looking for a quick fix, something that would make my life easier, better. Even though I thought it was wrong to harbour resentments, sometimes I just wanted to hang on, and to somehow also be good enough. I suppose I still wanted my view of the world to be right. Don’t we all? Besides blessing seemed too airy-fairy. Unbelievable. Too simple. I expected life to be full of problems, and couldn’t see how they would be solved by blessing someone, or even several thousand someones. When I did try blessing people, sometimes I was sincere and sometimes I wasn’t. It’s not always easy to notice the difference, but years on I see that often I wanted my blessing to somehow magically change the other person. One story in The Gentle Art of Blessing stayed in my mind and seemed to promise just that. During the 1994 Rwandan civil war, a man whose home was attacked by heavily armed men met them with love, as sense of oneness, and yet more love. A few times, it seemed the men would murder his family, but eventually they became calm and even friendly, and confessed to crimes they had committed. Without feeling the level of love this man felt, I wanted to be able to affect people the way he had. This desire came less from an awareness of love than from a desire to be good enough. This desire turned the purpose of blessing on its head. It will not make you or me a good person – it can’t. But we are already good enough, and that’s what blessing really leads us to. Another way to describe blessing would be as allowing yourself to see the goodness, the pureness and love within a person. This is in fact what that man in Rwanda did all those years ago. This isn’t about looking for the good to balance out the bad or flawed in a person, but recognising that beyond surface appearances we are all one. Beyond personalities, we all share the same consciousness or connectedness. There are many reports, studies and experiments on the power of looking into someone else’s eyes, the most recent being a video of people sitting with refugees and looking into their eyes. According to Amnesty International, which produced the video below, 20 years ago, psychologist Arthur Aron discovered that 4 minutes of looking into each other’s eyes can bring people closer. You can see this happen in Amnesty’s video. I still don’t bless people the way Pradervand did every moment of every day, but I do do it my way, several times a day. I may never be able to transform an attacker into a friend by the power of love, but I can remind myself to look for the humanity in everyone, to see beyond the surface to the emotions and spirit that are always there. August is Blessings month for 1000 Voices Speak for Compassion. If you would like to join us, you can read the posts below, share one of your own, and join in on Facebook by joining our 1000 Voices Speak for Compassion group. Each day we are sharing daily blessing challenges and weekly activities, and on her website, Michelle Grewe is giving away printables and other goodies. 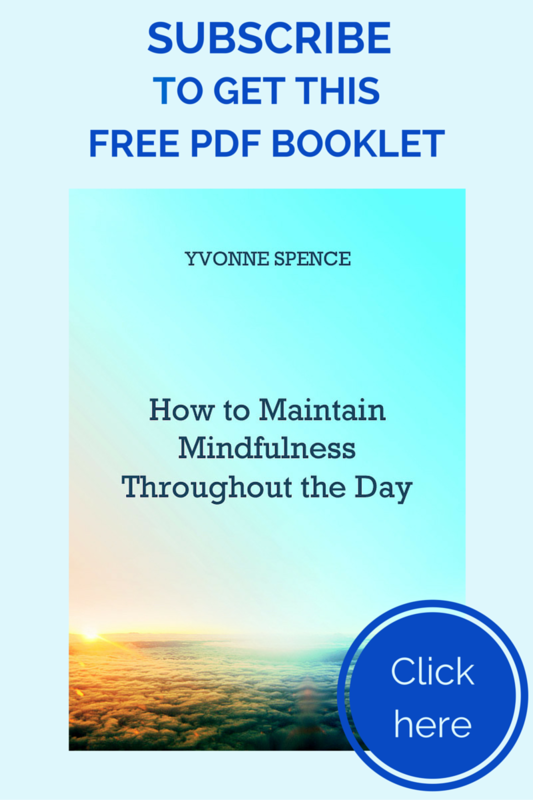 Yvonne, your video is powerful and amazing, as are your words. Giving blessings to people who haunt us is foreign but I can see the power behind it. I recently had something happen that made me question who a person has been in my life, and I’ve been really angry and hurt by it. I won’t go into details but tonight, I read this, and think that I bless that person. Part of me is like you of before and wants to change them, but part of me feels lighter for realizing this person’s burden and blessing them feels like hope, somehow. Thank you for that. Kristi, I feel so pleased to read your comment, so glad that you feel able to bless the person you are angry with, and that you feel lighter for it. I think recognising that there’s also a part of you that wants to change them is really useful – being able to observe that means it loses its power. I’m so glad this post was helpful for you. And yes, isn’t that video amazing! I read your post a few days ago but didn’t want to comment until I had a chance to watch the video. Ah that was beautiful. I teared up when the kids started playing. That seems like it would be a hard exercise. I will hold onto sincerity meaning more than getting it right. Thanks for the share!